Almost all women want to look beautiful, including during pregnancy. However, do not arbitrarily choose cosmetics during pregnancy. It must be ensured that cosmetics are safe for pregnant women. Cosmetics can help pregnant women to stay beautiful. Especially with the presence of weight gain and hormonal changes, which generally affect the condition of the skin and appearance. But keep in mind, cosmetics on the skin can be absorbed by the body and enter the bloodstream, so it is feared that it can enter the placenta and fetus. Not infrequently hormone changes in pregnant women cause disturbances on the face, one of which is acne. Beware of cosmetic products to treat acne, for example, products that contain tretinoin or isotretinoin. Products with salicylic acid commonly used for zits should also be avoided. Salicylic acid products for peeling are considered risky, although the use of small doses of toner is still considered safe. Consult a dermatologist if the appearance of acne is very disturbing. Cream products with benzoyl peroxide ingredients may help. Antiaging products that contain retinoids (a type of vitamin A derivative), are also recommended to be avoided. Generally, this product serves to reduce wrinkles and improve skin tone. Based on several studies, this material is suspected of risking causing interference with the fetus. Avoid using nail coloring or nail polish that contains phthalates, because it may cause congenital abnormalities in infants. According to research, this material interferes with the sexual development of male babies. In addition to nail coloring, phthalates are also commonly found in hairspray. If pregnant women use nail coloring, make sure to be in an open room when applying it, to minimize the risk of inhaling the material. Pregnant women are encouraged to avoid sunscreen products that use oxybenzone. Research reveals that this substance is suspected of causing babies born with low weight, especially in baby girls. 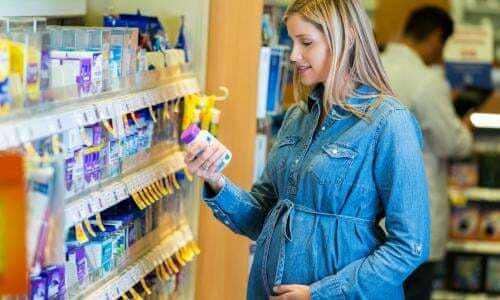 Instead, pregnant women can use sunscreens that contain titanium dioxide and zinc oxide (zinc oxide). These products can function optimally to protect the skin and not be absorbed into the skin. In addition, pregnant women can use hats, glasses, and closed clothes to avoid sunlight. Pregnant women should also limit sun exposure between 10am and 4pm. Chemicals in hair dyes have the potential to enter the skin of pregnant women. Ammonia, which is commonly used in these products, is known to cause nausea. Although the effects of these hair dye ingredients still need to be studied, it is recommended to avoid these products, especially in the first trimester of pregnancy. Choose cosmetics that are safe for pregnant women. Don't hesitate to consult a gynecologist or dermatologist regarding cosmetics that can be used during pregnancy.